Notes: The Halloween Hermit Crab is known to efficiently eat algae including green hair algae and cyanobacteria as well as detritus. It also does a great job of aerating aquarium substrate by sifting through the sand. 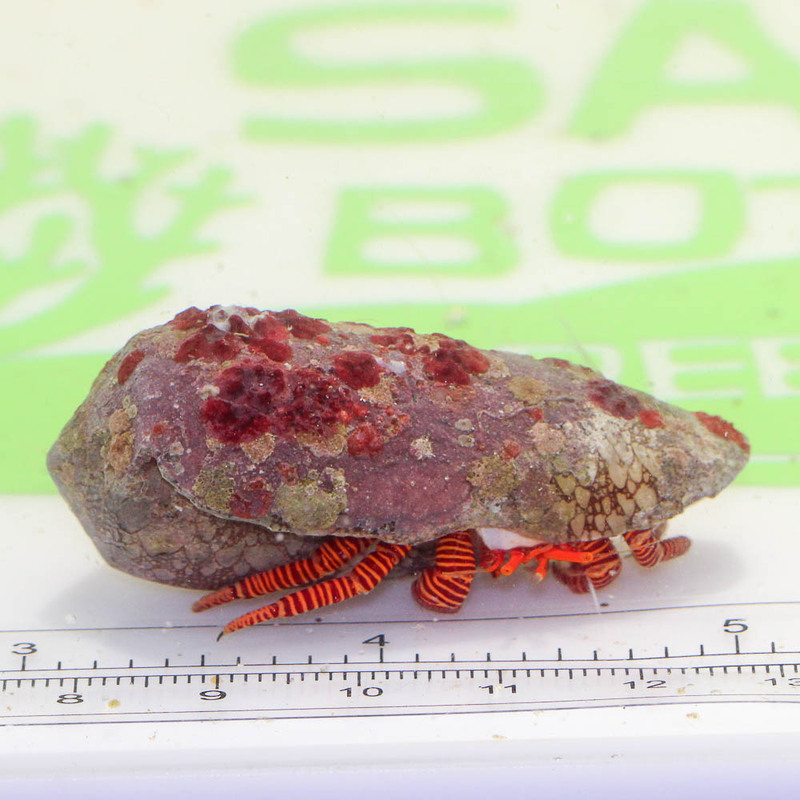 The Halloween Hermit Crab attains a larger size than most other hermits, it may disrupt rockwork or corals that are not secured in reef aquariums. Always loved these hermits. Large, calm, absolutely great colors. Arrived healthy and active. Molted within a few days, so now it's just a bit bigger, too.